Born in Einsiedeln, Switzerland, Thorner moved to the United States in 1932. One of the first certified ski instructors in the United States, Thorner operated ski schools across the country, including at the Glen House in Pinkham Notch, Lake Placid, and Mt. Rainer. Settling down in New Hampshire, Thorner opened "The Thorner House" in Franconia for the 1940-41 season. 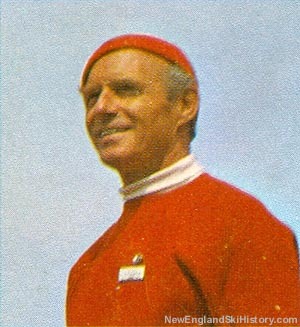 In addition to teaching skiing and running the inn, Thorner also made films (such as "1948 Winter Olympics"). After spending time looking for an ideal ski area, Thorner decided to build Magic Mountain on private property in Londonderry, Vermont, with the goal of having the area 'more Swiss than a Swiss watch.' The name was derived from the Thomas Mann book. Opening for the 1960-61 season, the area was to be a ski-in, ski-out resort with plenty of apres-ski activities. A village was developed at the base of the mountain, featuring hotels and bars. The challenging trails of the ski area had colorful names matching the Magic theme of the mountain. Thorner was known for doing things differently than others in New England, such as importing Swiss ski instructors and having Magic's slopes mowed by sheep during the off season. Thorner sold Magic Mountain in 1985. Thorner died in December of 2003 at the age of 95. He was survived by his wife of 70 years, Florence Harriman Thorner.